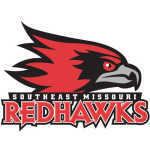 The Southeast Missouri State football team put together a valiant comeback attempt, but it fell just short as the Redhawks' season ended in the second round of the Football Championship Subdivision playoffs. Southeast got within 11 in the fourth quarter, but couldn't overcome a three-possession halftime deficit and fell 48-23 to second-seeded Weber State on Saturday in Ogden, Utah. It was the Wildcats' seventh straight win. All season, the Redhawks (9-4) have found success by winning the turnover battle but four turnovers came back to haunt them Saturday. The Wildcats (10-2) turned those four takeaways into 20 points, including a 48-yard interception return for a touchdown by Jordan Preator that sealed the win. Weber State opened the third quarter with an 8-play, 66-yard drive capped off by a 10-yard touchdown run by quarterback Jake Constantine. That gave the Wildcats a 34-7 lead against a Southeast offense that gained 69 yards in the first half. Southeast cut the deficit to 34-14 on a 4-yard Zion Custis touchdown run with 5:32 left in the third quarter. A 45-yard Kendrick Tiller field goal with 13:31 left in the game put the deficit at 34-17. On Weber's State next drive, the ball slipped out of Constantine's hands, and Demarcus Rogers scooped the ball up and returned it 33 yards four a touchdown. Weber State blocked the extra-point attempt to keep the lead at 11, 34-23. The Wildcats then responded with a touchdown thanks to some more trickery. A 48-yard Treshawn Garrett rush set Weber State at the SEMO 10-yard line. On fourth-and-goal, the Wildcats dialed up a fake field goal, and Doug Lloyd ran untouched into the end zone for a 4-yard score. Weber State then sealed the win with that Preator interception return touchdown. Southeast quarterback Daniel Santacaterina had his second four-interception game of the season, both resulted in losses. Ohio Valley Conference Offensive Player of the Year Marquis Terry had one rush for three yards and didn't play after the first drive. Terry has been dealing with a knee injury and was held out per a "coaches decision," according to a Southeast spokesperson. Southeast's second FCS playoff appearance in school history ends at the same stage as the previous one, the second round. The Redhawks did win a playoff game for the first time last week. Now, they will have to wait at least another a year for the program's first-ever quarterfinal appearance. 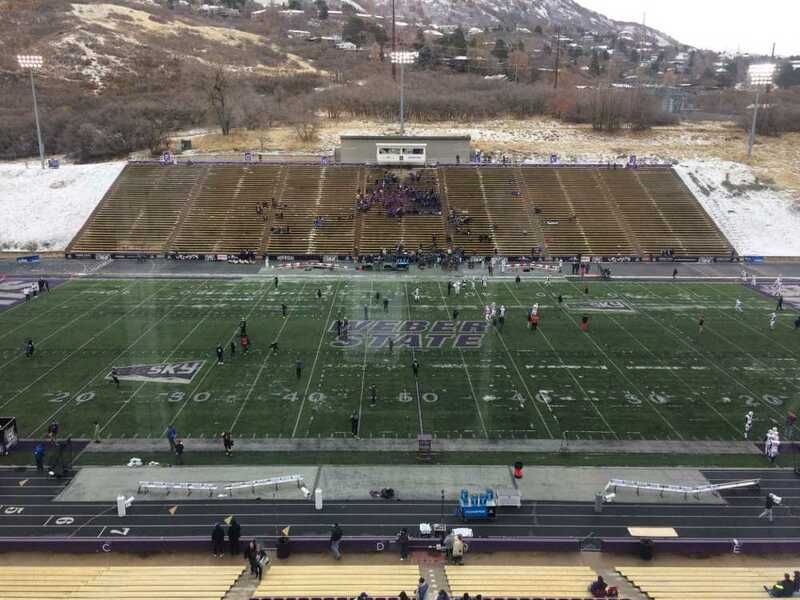 The Southeast Missouri State football team took an early lead, but couldn't hold onto the advantage and trails second-seeded Weber State 27-7 at halftime in this Football Championship Subdivsion second-round game Saturday in Ogden, Utah. All season long, Southeast was won by forcing more turnovers than the opposition. Weber State has flipped the script and turned two first-half interceptions into 13 points. Southeast starting running back Marquis Terry, the Ohio Valley Conference Offensive Player of the Year, has one rush for three yards and hasn't played since the opening drive. Terry has struggled with injuries this season but is not playing due to a "coach's decision," according to a Southeast spokesperson. Both teams struggled to move the ball early with the game remaining scoreless until the final minute of the opening quarter. That's when Southeast took the lead on a 2-yard Daniel Santacaterina touchdown run. The drive started at the Weber State 12-yard line after a 36-yard Zack Smith punt return coupled with a personal foul penalty. Initially, the Redhawks went backwards, but Santacaterina found Colby Cornett for a 32-yard completion on third-and-30. Two plays later, Santacaterina kept the ball on a read option and ran untouched up the middle for the score. Weber State responded with a touchdown drive, converting a fourth-and-7 along the way. With Southeast stacking the box to stop running back Josh Davis, the Big Sky Conference Freshman of the Year, quarterback Jake Constantine competed 7 of 10 passes on that drive for 59 yards. He capped it with a 10-yard touchdown pass to Rashid Shaheed. The Wildcats then took the lead by following Southeast's formula for success: generating a turnover. Weber State picked Santacaterina off at the 27-yard line, and Constantine took advantage with a 6-yard touchdown pass to Devon Cooley. The Wildcats' two-point conversion failed, though. It looked like the score would remain that way into halftime, but coming out of a timeout, Weber State converted a fourth-and-10 on a fake punt. Constantine finished the drive with a 16-yard pass to a wide open Isaiah Jackson. After another Santacaterina interception, Constantine then found Jackson a 40-yard score. There's hope for Southeast. Last week, the Redhawks trailed 14-0 at halftime before reeling off 28 third-quarter points to beat Stony Brook 28-14. Southeast will need to conjure up an even greater comeback to keep its season alive. Coming off the program's first-ever Football Championship Subdivision win, Southeast Missouri State football faces second-seeded Weber State in a second-round matchup at 3 p.m. Saturday. Last week, the Redhawks scored 28 points in the third quarter to overturn a 14-point halftime deficit and claim a 28-14 win over Stony Brook at Houck Field, the first-ever home FCS playoff game in school history. Southeast (9-3) enters as 11-point underdogs to Weber State (9-2), according to betting website 5dimes.eu. Weber State is on a six-game winning streak and won the Big Sky Conference Championship. You can read more about the matchup in the preview here. At Cape BWWings watching redhawk playoff football! S.E.- MO!!! Congratulations to Coach Tuke and the Redhawks on their incredible season. These players have left a legacy to build upon "brick by brick". Well done, Southeast Missouri State.